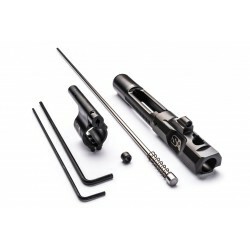 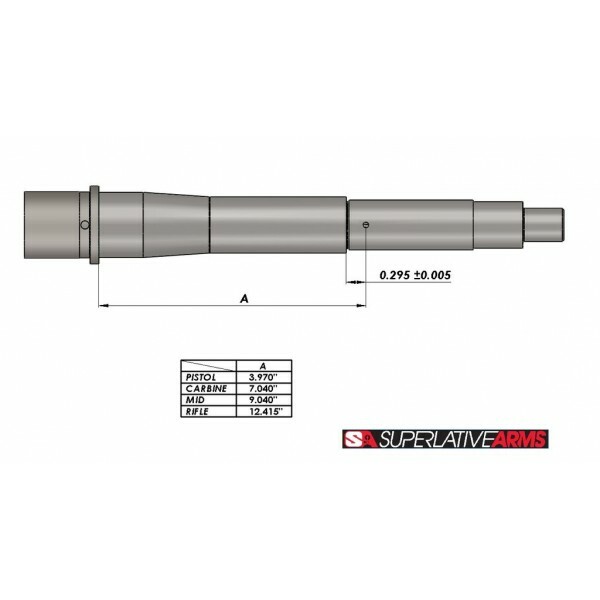 .625" Adjustable Piston System - Mid Length - Solid - Melonited - Low Pro - AR15. 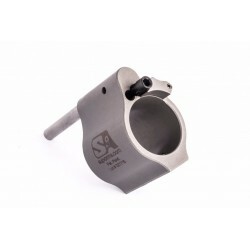 Fits inside most AR15 handguards/rails. 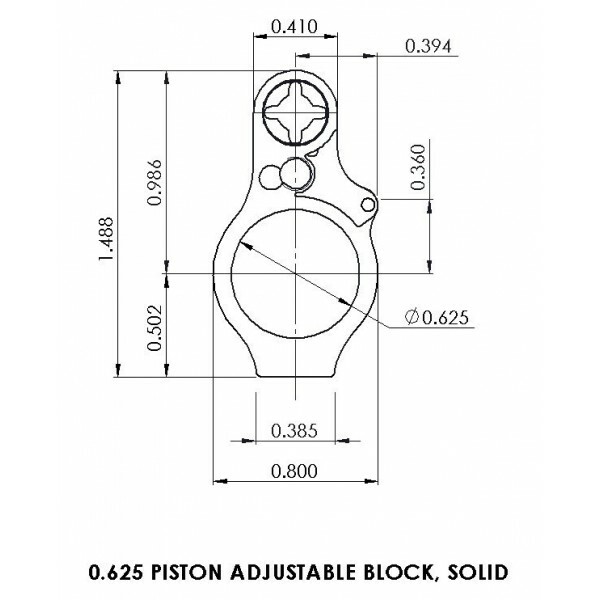 See drawing for exact dimensions.